Elisabeth’s (Elisheva’s) comments: Warning! This might be the most controversial Prophecy given to me thus far. Some of it contains personal revelations to me and that is why my name is mentioned by the RUACH HA KODESH. However, I do not want to censor this Heavenly Message. —with Prophet Elisheva’s “Holy tongues,” as GOD’S SPIRIT gives utterance (Acts 2:3-4) of heavenly or earthly languages (1 Co 13:1). Elisheva speaks forth in tongues bringing Prophecy (1 Co 14:6). The Revelation of “SH’KHINYAH GLORY” ????? ????? —is also on this site. I thought, “Why couldn’t the RUACH HA KODESH be female? The Holy Scripture says mankind is made in the IMAGE OF YAHUVEH GOD, male and female (Gn 1:27). Wouldn’t it stand to reason women were made in HER IMAGE?” We had a brief discussion about it. Shortly after that Kathrynyah heard the Voice of IMMAYAH and wrote down the Words she heard. They were so beautiful, so loving and so different from the Voice of FATHER YAHUVEH or YAHUSHUA, like a loving mother has a voice and sweetness different than a father. I asked our BELOVED RUACH HA KODESH if SHE would give me a Word, for I so longed to hear HER Voice. SHE heard my plea and gave me the beautiful Prophetic Words you will read in this book. As I look back, I am sure IMMAYAH, our HOLY MOTHER put it upon my spirit to ask this question, to open the door for HER to answer in HER own blessed way that cannot be imitated! Please don’t stone the Messenger. As the Holy Scriptures say in Amos 3:7, “YAHUVEH GOD shares HIS secrets with the Prophets.” There is much Scripture to back up the Truth of the HOLY SPIRIT or RUACH HA KODESH in Hebrew, being female. May you, the reader, be blessed by the Revelations our HOLY MOTHER, IMMAYAH, has given to me. so the audio cannot be posted, but here is the transcription. in the way that you have asked ME to reveal. But I shall do it. And you shall teach it. And the lies shall be combated. It is I that gives the desire to say this prayer. It is I that gives the desire to know WHO I AM. how much those who love YAHUSHUA are loved by ME. Females were made in MY IMAGE. I AM “AGELESS.” I AM CO-CREATOR. The family is a copy of what is in Heaven. Where do you think it came from? The mother? The father? And the children? This doesn’t mean in Heaven birth is as it is here on Earth. It was never meant to be so. It was because of Eve’s sin and Adam’s sin, it became a painful process. There is no discord in Heaven. There is no pain in Heaven. There is only Love & Peace & Joy. [Elisheva:] What else MOMMA? What else do YOU want to tell me? you cried out to ME! will never feel that void again. You were starved for attention. the spirit that she was working with. But I too fill you with MY LOVE. it is ME that rocks you. Keep striving to know WHO I AM. I will reveal more to you. I will bring you a remembrance of what it was like in Heaven when you beheld MY FACE. YAHUVEH is MY HUSBAND. YAHUSHUA is MY SON. in Heaven4 & WE rule in unison. How do you think your prayers reach your ABBA YAHUVEH’S Ears? It is I that send them to HIM. those who love MY SON, YAHUSHUA. When you lift up prayers, it’s like blowing kisses5 to your ABBA YAHUVEH—when you pray in MY SON’S NAME. For it takes all THREE of US for you to be heard and answered. This is just the beginning of the Teaching. It’s only for those who I tell you to tell. Of course, all of this family, you will share this with. unlike any other Word spoken. For these are Secrets satan never wanted revealed. like you have never encountered before. That’s why it’s not yet time to give the Word to the world. Why do you think lucifer came and tempted Eve first? For it’s by satan’s hand, Cain slew Abel. in the LAMB’S Book of Life—to Heaven, you could return. to replace the Old Blood Covenant that could not stand. You want to know one of the things that grieves ME? You want to know one of the things that offends ME? Elisabeth [Elisheva], when you feel MY Anger & MY Rage—they speak of the FATHER’S Rage, of ABBA YAHUVEH’S Rage—you know not—you do not have a clue of the Rage of the MOTHER OF CREATION! You just have a fraction of MY Rage—when you feel that volcano ready to blow inside of your head, and it’s in the name of righteousness—you just have a fraction of MY Rage! It was NOT by MY Hand! HE was NEVER—NEVER—NEVER the son of “man”! Even to the world PROCLAIMED! Oh but in the Great Tribulation, those who are saved now and have been living Holy before ME—MY SPIRIT is within them—just as you were saved in the Name of ‘JESUS’, you’d still be calling upon HIM in that Name [during the Great Tribulation]. And do not misunderstand ME. There is Power, Heavenly Power to back up that Name [before the Great Tribulation], because of the Mercy of your ABBA YAHUVEH. But in the Great Tribulation, so many shall die [calling on that name]—even though they’re saved now. So many will wonder why their prayers are not answered. It is not because WE do not love them. 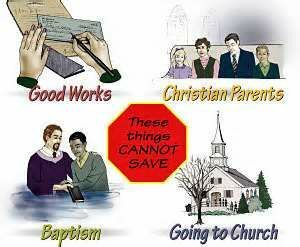 (And I do not speak of those who will go to the Sunday churches and take the mark [of the beast, Rv 13:16; 14:9])! I speak to those, who will call out in “the Name of ‘JESUS’,” who know that HE was the ONE that was crucified and rose again from the dead and on the third day did arise. I wait for them in Heaven! But they must understand, while now [before the Great Tribulation] there’s power in that Name, there will be no power then [during the Great Tribulation] in that name. That doesn’t mean—for those who are still walking Holy before ME—they will not return to Heaven, but it means [during the Great Tribulation] I cannot answer them. 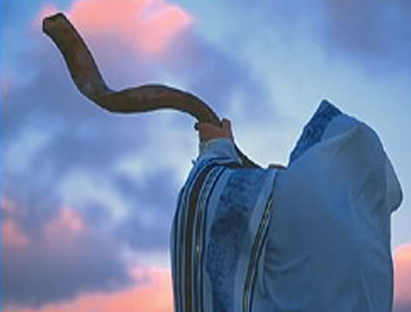 As I said it is [by] MY Anointing like blowing a kiss to ABBA YAHUVEH, that their prayers are answered! This is why you’re warning them now! This is the importance of that HEBREW NAME! 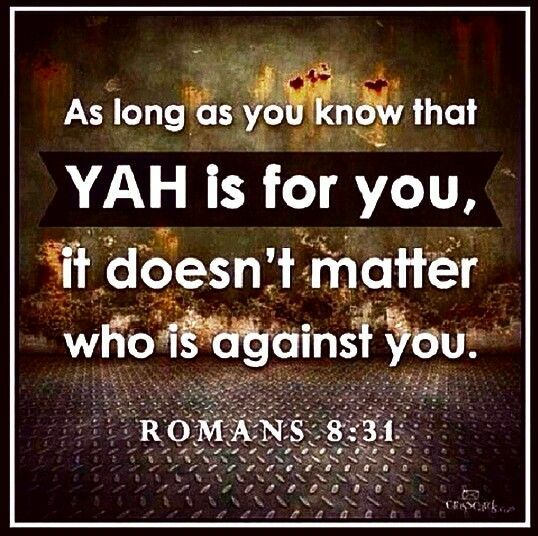 You see, satan does not want to use the word “YAH”—oh, I have many enemies out there who now dare to operate their ministries and use the NAME “YAH” to deceive the wolves10 and the lambs. But the son of satan does not want to use the NAME “YAH”—he wants to use the name that the world became familiar with and that was the name of J-E-S-U-S. 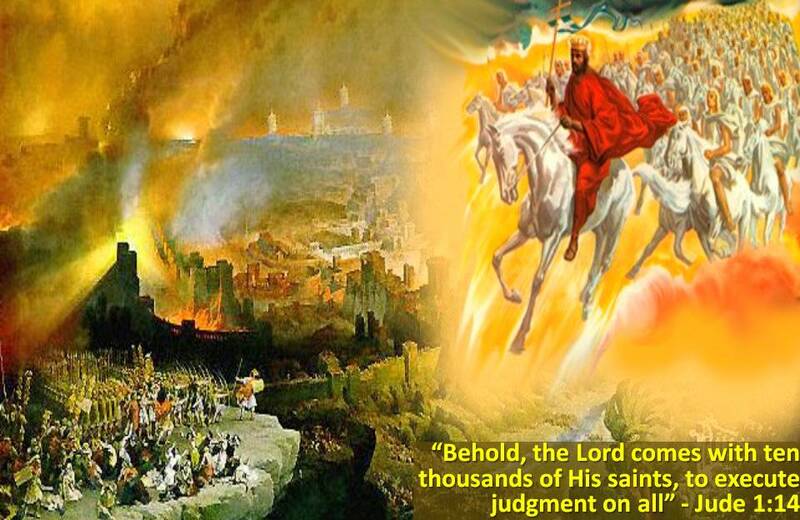 So although those whose names are written in the LAMB’S Book of Life—during the Great Tribulation, they will return to Heaven, [but those who insist on the name J-E-S-U-S] it will mean they have to give their life. But they will NEVER, EVER enter into a Sunday church for their name would be blotted out. And there will be no [new] salvations at that time in the name of J-E-S-U-S. It will only be in YAHUSHUA[‘S NAME]. 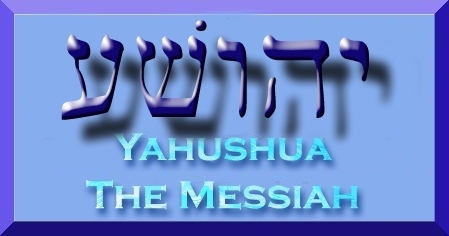 Some will say, “YAHSHUA,” but the NAME “YAH” will not be left out. For the anointed 144,000 will not be teaching the name of J-E-S-U-S. This is now. That will be then. That’s just like now [before the Great Tribulation], that does not mean all those who attend Sunday churches don’t belong to ME, aren’t filled with MY SPIRIT. But it does mean in the Great Tribulation, it will not be allowed for this is where they sell out to the beast. I deliver in the name of J-E-S-U-S.
How could I answer then? How could MY SON YAHUSHUA answer then? Can you not see the danger?! You do not know the grief that I will feel when those whose names written in the LAMB’S Book of Life—who know better than to go to the Sunday churches and take the mark of the beast—will run and hide, will have to give their lives because they will be crying out and they will refuse to say the NAME OF YAHUSHUA. I cannot save their life. I cannot hide them. I cannot feed them. I cannot deliver them. 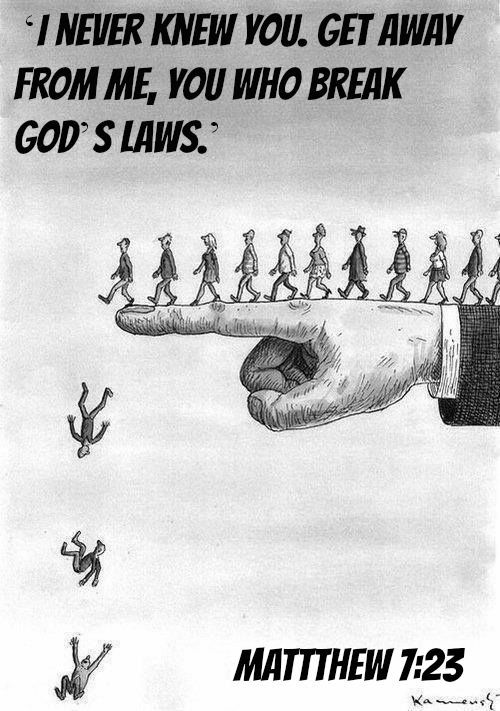 So beware! Now it has already started. There is one who is risen up. He has a worldwide following. And he calls himself ‘Jesus Christ.’ But the key is, he throws out all that is Holy. Beware the one coming! For this one is just a mere man. But beware the one coming! For it will be as Judas has returned once again. And he is truly the son of satan, the son of lucifer. There is a time and there is a season. You will know when to let this Word go. But Elisabeth [Elisheva], never again will you have to crave the love of a mother. For I have showed you, I have filled that void. I have never believed in UFOs or evil aliens from other planets until I had a dream sometime in March 2005. Since then I have had revelations of what this is and worst of all, it is real. Then I saw this cigar shaped UFO shoot out a single beam of light that looked bluish/green in color. The bluish/green light would hit the people and it picked them up and pulled them into the space craft. The people were screaming, “‘JESUS!’ Help me!” Yet they were still taken by that beam of light into the belly of the cigar shaped UFO. The people could not out run the UFO. Then the cigar shaped UFO hovered over me and I tried to out run it, but I couldn’t. I saw the beam of light come towards me in the air and I yelled as it was directly over me, “YAHUSHUA prove to me YOUhear my prayer! Help me!” The beam of light stopped in mid air and went to the nearest person to me who was yelling ‘JESUS’ and they were taken by that beam of light, kicking and screaming in horror right into the belly of the cigar shaped UFO. This Ministry warns why it is urgent for people to know the HEBREW NAME for our MESSIAH YAHUSHUA or YAHSHUA. The Name of ‘JESUS CHRIST’ has Saving, Anointing, Healing, Delivering, Resurrection Power now, but will not in the Great Tribulation! I don’t believe I will be in the Great Tribulation in this mortal body. I was there to warn you now. However in the dream it is a warning that the antichrist who is the son of satan, will be using the name of ‘Jesus Christ’ because Christians all over the world, in multitudes of languages, use the beloved Name of ‘JESUS CHRIST’. The most famous TV evangelists are setting the people up for the blue beam rapture, which is a counterfeit rapture. Proverbs 1:20…WISDOM calls out outside. SHE raises HER voice in the open squares. Proverbs 1:21…SHE speaks HER words. Proverbs 1:23…Turn at MY reproof; surely I will pour out MY SPIRIT on you. Proverbs 3:18…SHE is a tree of life to those who take hold of HER. Proverbs 4:6…Do not forsake HER and SHE will preserve you. Love HER and SHE will keep you. Proverbs 4:13…Keep HER for SHE is your life. Proverbs 9:1…WISDOM has built HER house. SHE has hewn out HER seven pillars. Matthew 11:19…But WISDOM is justified by HER children. Book of Wisdom 7:11…In HER company all good things come to me. Book of Wisdom 7:12…All these I delight in, since WISDOM brings them, but as yet I did not know SHE was their MOTHER. Book of Wisdom 6:12-22…WISDOM is bright and does not grow dim. By those who love HER, SHE is readily seen, and found by those who look for HER. Quick to anticipate those who desire her, she makes herself known to them. Proverbs 1: 8-9…MY Son, hear the instruction of your Father, and do not forsake the law of your MOTHER for they will be graceful ornaments on your head, a chain about your neck. Proverbs 6:20-23…MY Son, keep your Father’s command and do not forsake the law of your MOTHER. Proverbs 6:21…Bind THEM continually on your heart; tie them around your neck. Proverbs 6:22…When you roam, THEY will lead you; and when you awake, THEY will speak with you. Proverbs 6:23…For the commandment is a lamp and the law is light. Psalm 119:105…Your word is a lamp to my feet and a light to my path. Genesis 1:2 The earth was without form and void and darkness was on the face of the deep and the SPIRIT OF GOD was hovering over the face of the waters. Genesis 2:7 And YAHUVEH GOD formed man of the dust of the ground and breathed1 into his nostrils the Breath of Life and man became a living being. 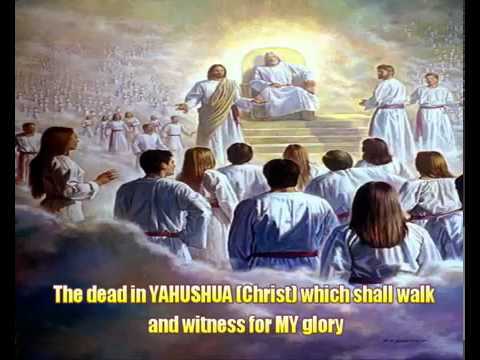 Numbers 11:25 YAHUVEH came down in the cloud and spoke to him and took of the SPIRIT that was upon him and placed the same upon seventy elders and it happened when the SPIRIT rested upon them that they prophesied although they never did so again. Psalm 104:30 YOU send forth YOUR SPIRIT, they are created and YOU renew the face of the earth. Isaiah 48:16 And now the LORD YAHUVEH, with HIS SPIRIT, sends me. Ezekiel 36:27 I will put MY SPIRIT within you and cause you to walk in MY statues and you will keep MY judgments. Joel 2:28 And it shall come to pass afterward that I will pour out MY SPIRIT on all flesh. Your sons and your daughters shall prophesy. Your old men shall dream dreams; your young men shall see visions. Zechariah 4:6 Not by might nor by power but by MY SPIRIT says the LORD OF HOSTS. Matthew 3:16-17 And YAHUSHUA, when HE was baptized, went up straightway out of the water: and, lo, the Heavens were opened unto him, and he saw the SPIRIT OF GOD descending like a dove, and lighting upon HIM: And lo a voice from Heaven, saying, This is MY BELOVED SON, in WHOM I AM well pleased. Luke 1:35 And the angel answered and said to her, “The HOLY SPIRIT” will come upon you and the power of the HIGHEST will overshadow you. John 3:5-6 YAHUSHUA answered, Verily, verily, I say unto thee, Except a man be born of water and of the SPIRIT, he cannot enter into the Kingdom of GOD. That which is born of the flesh is flesh; and that which is born of the SPIRIT is spirit. Acts 1:8 But you shall receive power when the HOLY SPIRIT has come upon you; and you shall be witnesses to ME in Jerusalem, and in all Judea & Samaria, and to the End of the Earth. Acts 2:2-4 And suddenly there came a sound from Heaven, as of a rushing mighty wind and it filled the whole house where they were sitting. Then there appeared to them divided tongues, as of fire and one sat upon each of them. And they were filled with the HOLY SPIRIT and began to speak with other tongues, as the SPIRIT gave them utterance. Acts 10:44, 47 While Peter was still speaking these words, the HOLY SPIRIT fell upon all those who heard the word…Surely no one can refuse the water for these to be baptized who have received the HOLY SPIRIT just as we did…? Acts 16:6 Now, when they had gone through Phrygia and the region of Galatia, they were forbidden by the HOLY SPIRIT to preach the word in Asia. Romans 8:9 But you are not in the flesh, but in the SPIRIT, if indeed the SPIRIT of GOD dwells in you. Now if anyone does not have the SPIRIT of the MESSIAH, he is not HIS. 1 Corinthians 12: 4; 7-11 4Now there are diversities of gifts, but the same SPIRIT 7 But the manifestation of the SPIRIT is given to each one for the profit of all; 8 for to one is given the word of WISDOM through the SPIRIT, to another the Word of Knowledge through the same SPIRIT; 9 to another faith by the same SPIRIT, to another gifts of healing by the same SPIRIT; 10 to another the working of miracles, to another prophecy, to another discerning of spirits, to another different kinds of tongues, to another the interpretation of tongues. 11 But one and the same Spirit works all these things, distributing to each one individually as He wills. Galatians 5: 16-17, 22 – 23 Instead, I tell you, be guided by the SPIRIT, and you will no longer yield to self-indulgence. The desires of self-indulgence are always in opposition to the SPIRIT, and the desires of the SPIRIT are in opposition to self-indulgence: they are opposites, one against the other; that is how you are prevented from doing the things that you want to… But the Fruit of the SPIRIT is Love, Joy, Peace, Longsuffering,Kindness,GoodnessFaithfulness, Humility, Self Control. Nothing in the Torah stands against such things. Ephesians 6:18 Praying always with all prayer and supplication in the SPIRIT being watchful to this end with all perseverance and supplication for all the saints. 2 Timothy 1:7 For GOD has not given us a SPIRIT of fear but of Power and of Love and of a Sound Mind. Hebrews 10:15-17, 29 Whereof the HOLY GHOST also is a witness to us: for after that HE [YAHUVEH] had said before, This is the covenant that I will make with them after those days, saith YAHUVEH, I will put MY Laws into their hearts, and in their minds will I write them; And their sins and iniquities will I remember no more….Of how much sorer punishment, suppose ye, shall he be thought worthy, who hath trodden under foot the SON OF GOD and hath counted the BLOOD OF THE COVENANT, wherewith he was sanctified, an unholy thing, and hath done despite unto the SPIRIT OF GRACE? Revelation 2:7; 11; 17; 2:29; 3:6; 13; 4:22 He that hath an ear, let him hear what the SPIRIT saith unto the churches. 1. Given by God (2:6). 2. SHE calls, cries out, asks questions, reproves, warns, offers counsel and knowledge, offers protection from calamities (1:20-33). 3. SHE gives discernment and understanding and knowledge of God and understanding of righteousness and justice (2:1-9). 4. HER proceeds are better than profits of siver and gold (3:14). 5. SHE a tree of life to those who take hold of HER (3:18). 6. By HER the Lord founded the earth (3:19). 7. SHE is the principal thing; she preserves us and keeps us, and if we exalt HER, she will promote us and bring honor and place on our head ornament of grace and a crown of glory (4:7-9). 8. SHE dwells with Prudence. Counsel is HER, and sound9 wisdom. SHE is understanding and has strength. By HER kings raign (8:12-15). 9. SHE may be found (8:17). 10. Lord YAHUVEH possesed HER at the beginning and SHE is the master craftsman; SHE rejoices; HER delight was with the sons of me (8:22-31). 11. Whoever finds HER finds life and obtains favor from the Lord (8:35-36). Wisdom 1:6 WISDOM is a SPIRIT friendly to humanity, though SHE will not let a blasphemer’s words go unpunished; since GOD observes the very soul and accurately surveys the heart, listening to every word. 23 IRRESISTIBLE, BENEFICENT, FRIENDLY-TO-HUMAN-BEINGS, STEADFAST, DEPENDABLE, UNPERTURBED, ALMIGHTY, ALL-SURVEYING, PENETRATING, ALL-INTELLECT, PURE & MOST SUBTLE SPIRITS. & IMAGE OF HIS GOODNESS. Ecclesiasticus, Wisdom of the Son of Sirach, Book of the All-Virtuous Wisdom of Joshua ben Sira, Wisdom of Sirach or simply, Sirach is a book included in the early Hebrew & Greek Bibles. It is believed to have been written in the 2nd century B.C. The early Greek church also called it, “The All-Virtuous Wisdom.” In Hebrew the book was known as the Book of Ben Sirach, Proverbs of Ben Sirach, or Wisdom of Ben Sirach. and then poured HER out on all HIS works…..
11 THE FEAR OF THE LORD YAHUVEH IS GLORY & PRIDE,15 HAPPINESS & A CROWN OF JOYFULNESS. giving Happiness, Joy & Long Life. 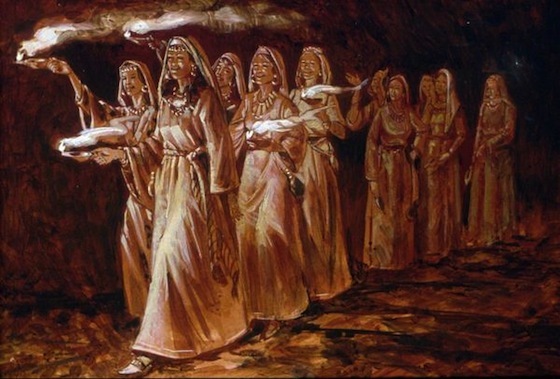 See “Proof Texts (KJV), Feminine HOLY SPIRIT” & “Proof Texts, Eve (Woman), made in WHOSE IMAGE?”; Hebrew evidence in “Our MOTHER, the HOLY SPIRIT”; “’Mother’ in Hebrew” p. & “MOTHER WISDOM” p. [LINK COMING]. Lk 12:10 …whoever blasphemes against the RUACH HA KODESH will not be forgiven; Eph 4:30 And grieve not the HOLY SPIRIT of GOD (KJV), Never hurt the HOLY SPIRIT (Phillips), Do not bring sorrow to GOD’S HOLY SPIRIT (NLT). YAHUSHUA is the definition of love, most displayed by GOD’S plan of salvation, allowing HIMSELF to be crucified for our sakes. Lk 1:35 The HOLY ONE WHO is to be born will be called the SON OF GOD [YAHUVEH]. AmightyWind has been accused of claiming the King James Version (KJV) Bible is from satan—this couldn’t be furthur from the truth. The mistranslation—of “Ben Adam” (Hebrew for Son of Adam i.e. human, descendant of Adam) as “Son of Man” implies that YAHUSHUA had an earthly, biological father—that is by satan’s hand. YAHUSHUA is the SON OF GOD, not an earthly man. YAHUVEH is the FATHER WHO begot HIM (SON OF YAH), and HE is also descended from Adam (BEN ADAM) via Mary’s DNA. Some wolves in sheep’s clothing use the word YAH e.g. 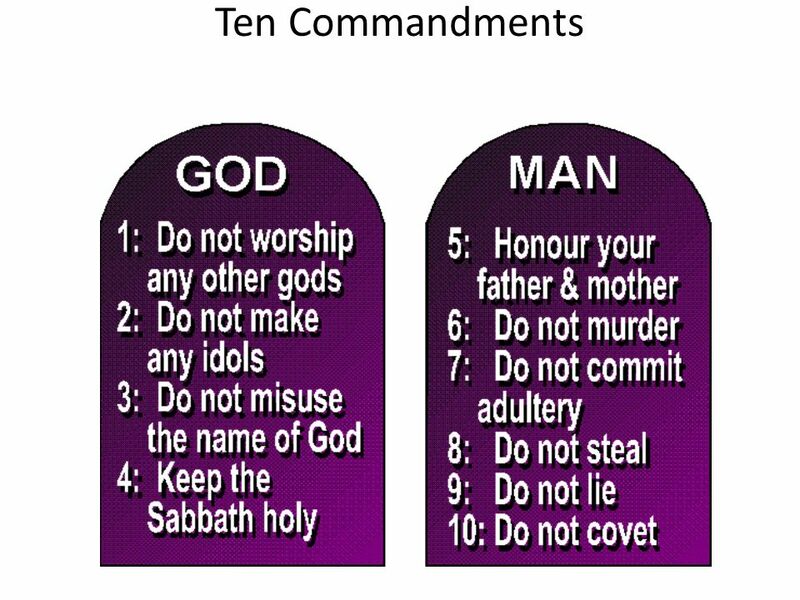 those Pharisees with only a form of religion (see Rv 2:9; 3:9). Wolves lead both lambs & other wolves astray. “This is now, that will be then”—emphasizing the drastic difference between using the name J-E-S-U-S in the time before versus during the Great Tribulation. This is not to be taken literally, but only to express the idea of the Divine Feminine. This is not advocating polytheism—as we believe in ONE GOD only. …the LORD disciplines those HE loves, as a father the son he delights in. Gn 2:6 a mist went up from the earth & watered the whole face of the ground. Dt 14:2 For you are a Holy people to the LORD your GOD, and the LORD has chosen you to be a people for HIMSELF, a special treasure above all the peoples who are on the face of the earth. Is 55:1 Ho! 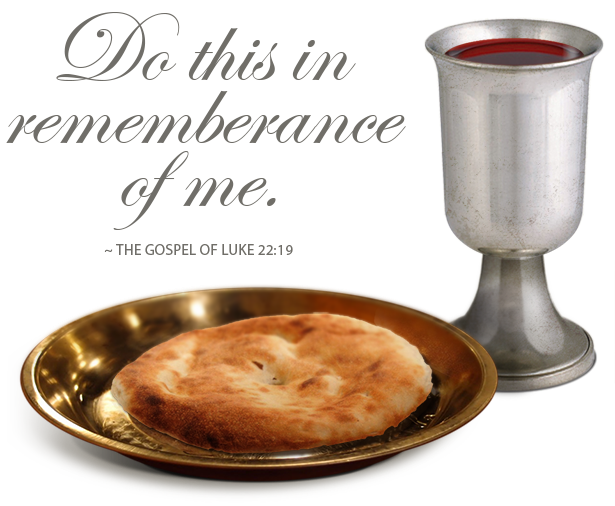 Everyone who thirsts, come to the waters; and you who have no money, come, buy, and eat. Yes, come, buy wine and milk without money and without price.